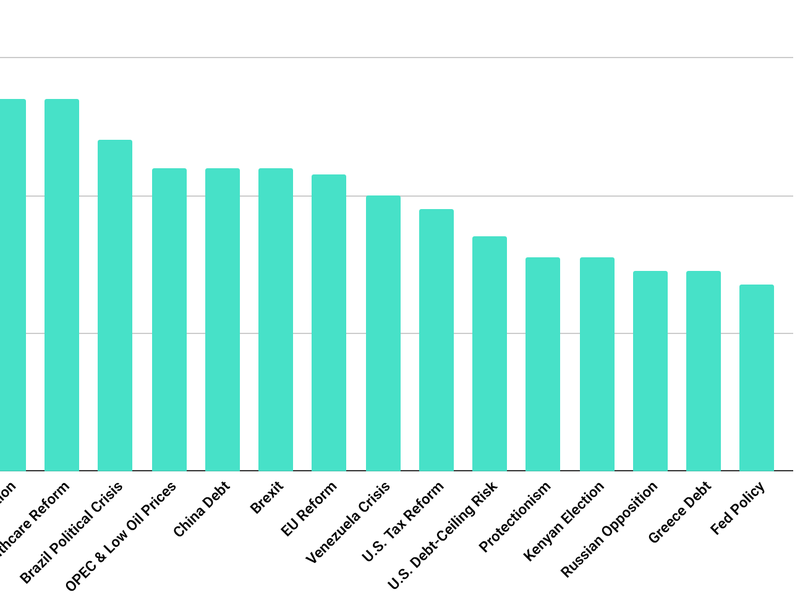 With the U.S. applying sanctions, Venezuela's worsening crisis leads our list of global macro issues in digital interest this week. 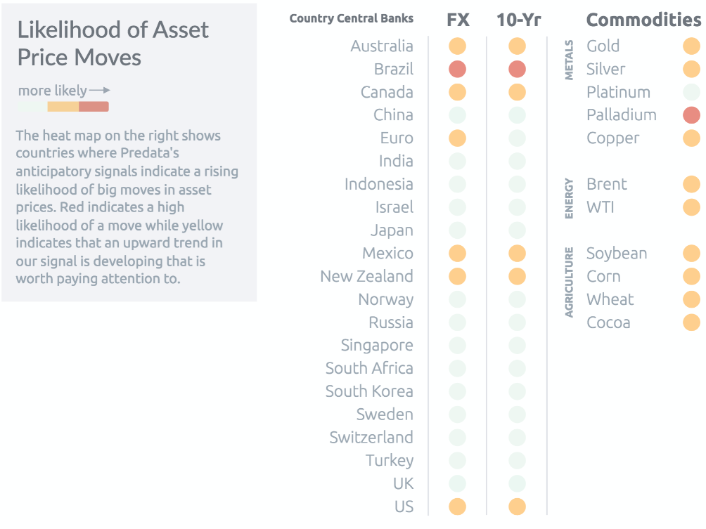 The Scoreboard shows the global macro issues generating the most interest and momentum in the digital realm based on Predata signals that monitor online conversations about each issue. 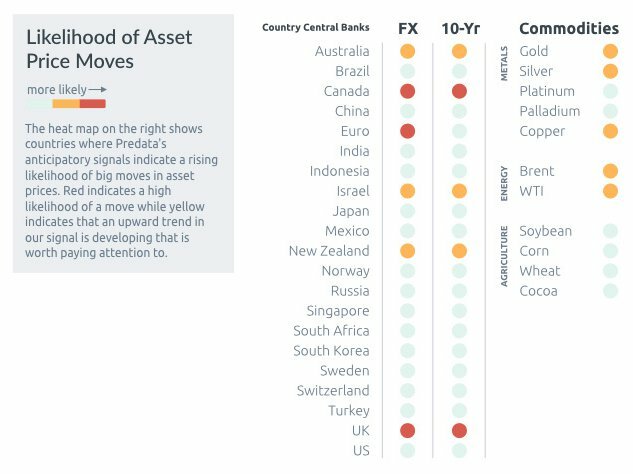 Signals are built based on digital traffic (in every available language) relevant to each issue and then correlated to a master signal covering all of the issues. The strength of the correlation, shown on the y-axis, determines an issue's rank on the Scoreboard. 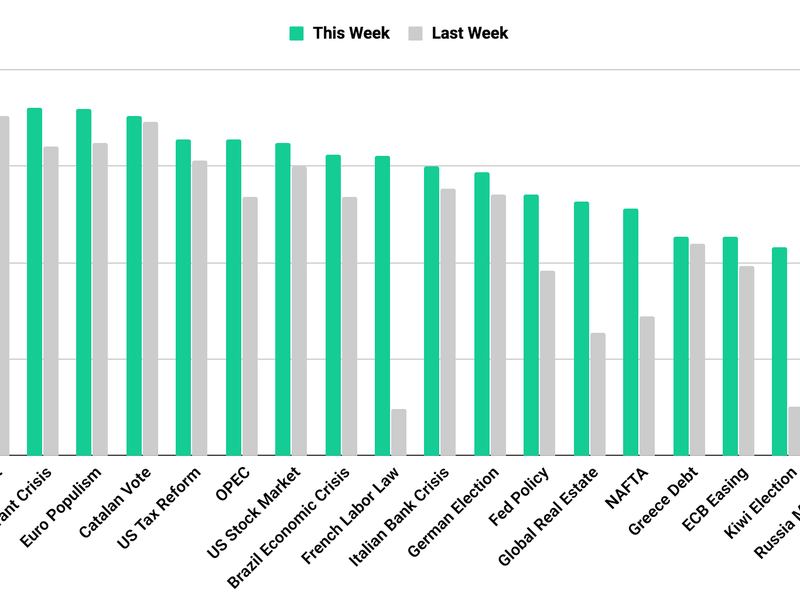 Venezuela took the highest spot on the Scoreboard this week, as fresh U.S. sanctions have brought the country's political and social crisis back to the forefront of global markets. Washington's move makes Venezuelan sovereigns and PDVSA corporate bonds personae non gratae in U.S. debt markets. Fitch already dropped Venezuela's debt rating from CC to CCC in response. The sanctions further isolate President Nicolas Maduro, who has already been all but cut out of Latin American diplomatic circles. Is Lula Off To the Races? After Venezuela, the biggest climber on the Scoreboard this week was Brazilian politics -- which these days primarily concerns two questions: When will the abysmally unpopular President Temer leave office, and who will replace him? After surviving one corruption indictment earlier this month, Temer's position appears more secure. 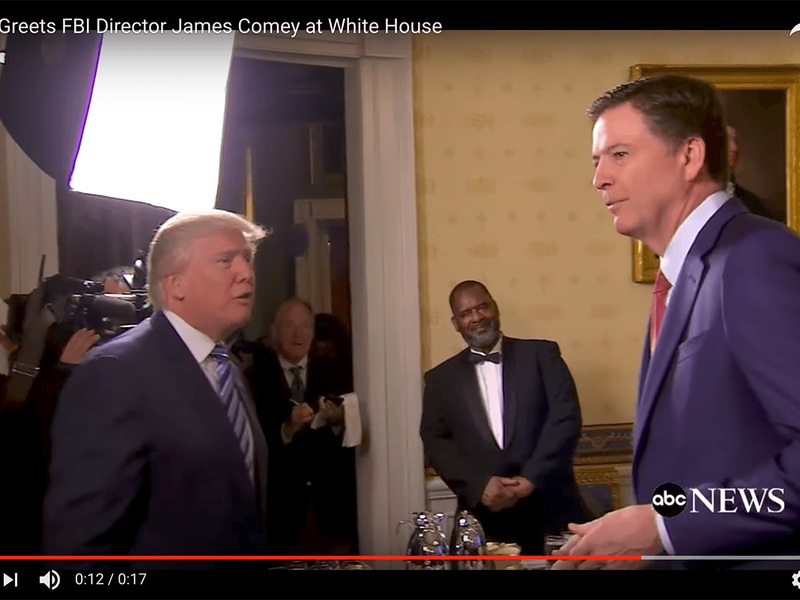 For now, attention has turned to the next general election, scheduled for October 2018. 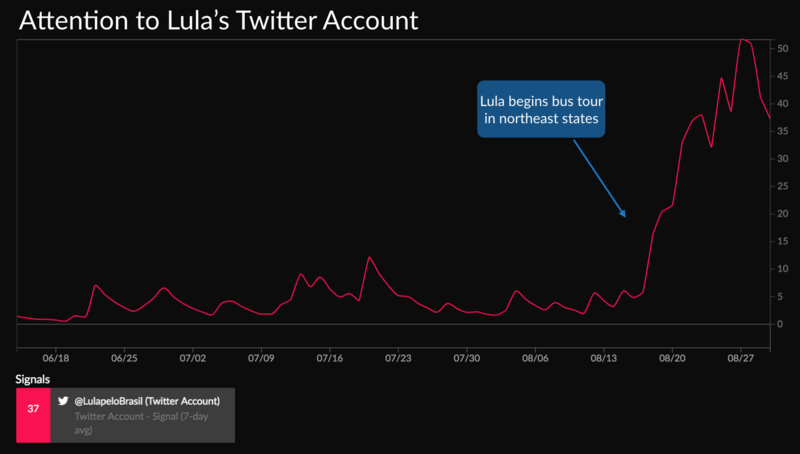 Driving the conversation is former president Lula, the frontrunner in polls, who began a three-week bus tour that some speculated would mark the unofficial launch of his campaign. Yet, in an interview, Lula conceded, for the first time, that he may not run given his recent corruption conviction. Germans head to the polls in three weeks to vote in federal elections. 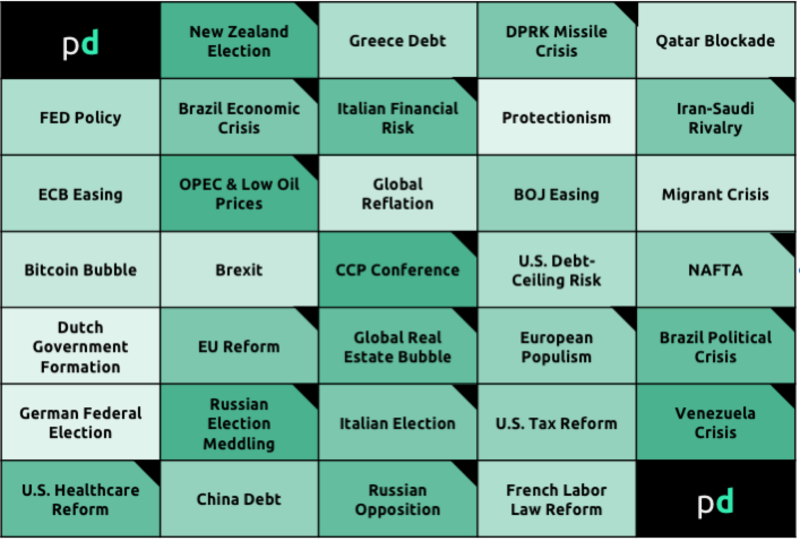 Despite an intensifying domestic debate, the German election came nowhere close to making the Macro Scoreboard this week. 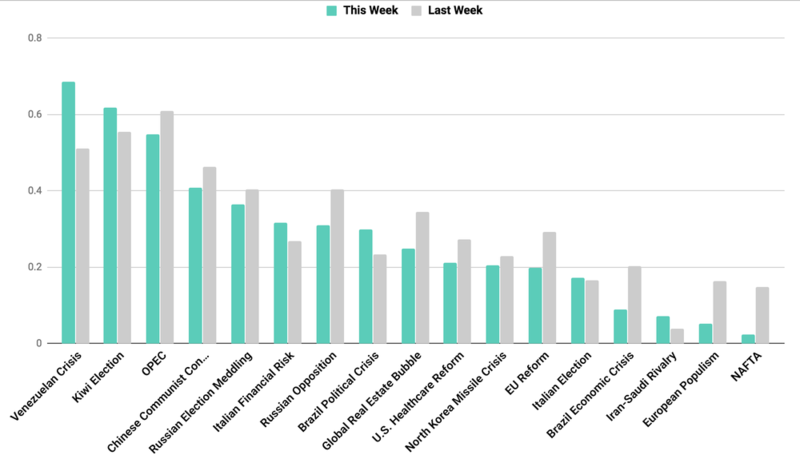 By the measure of engagement in the digital realm, where markets seem most concerned with upcoming elections in Europe, it is due to the looming specter of Russian election interference (which was the fourth-highest ranked story on this week). 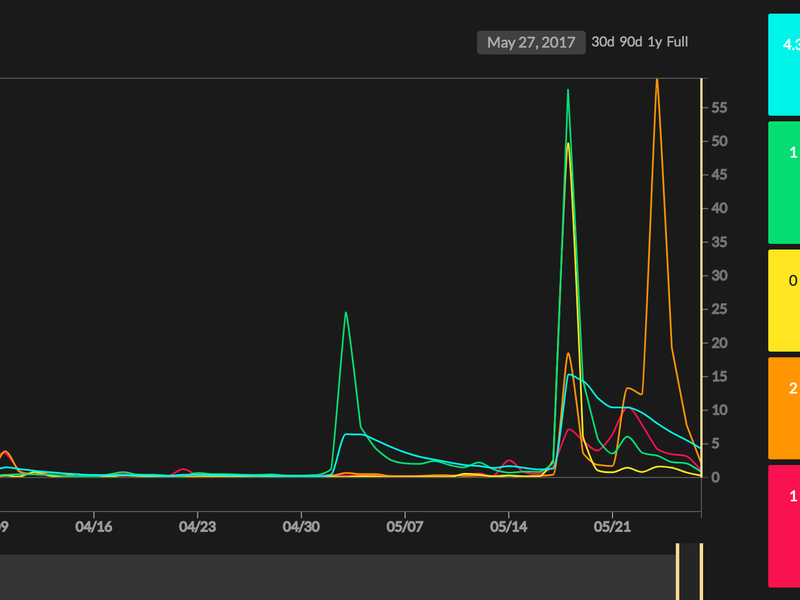 Predata analysts have been tracking Russian election meddling for months, going back to the French election. Who's Next In Line for Impeachment Once Temer Goes? 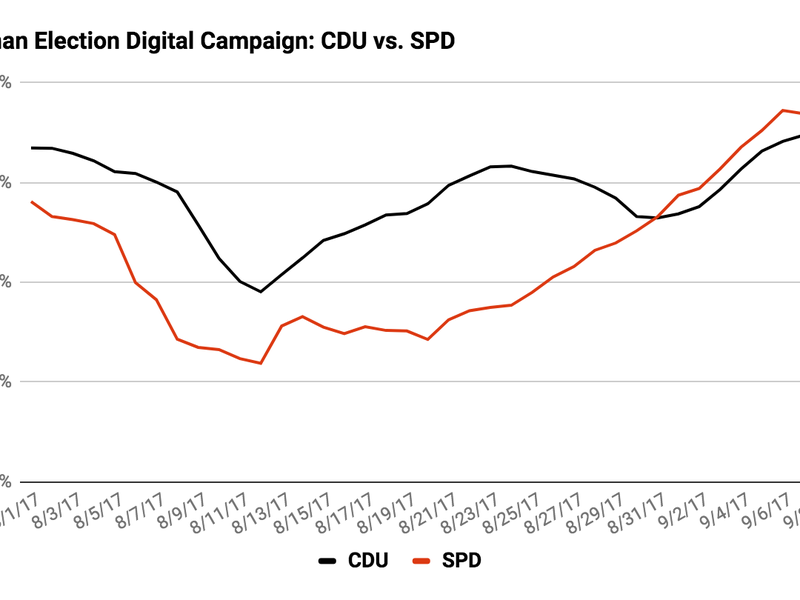 Will Germany Wake Up Before the Federal Election? 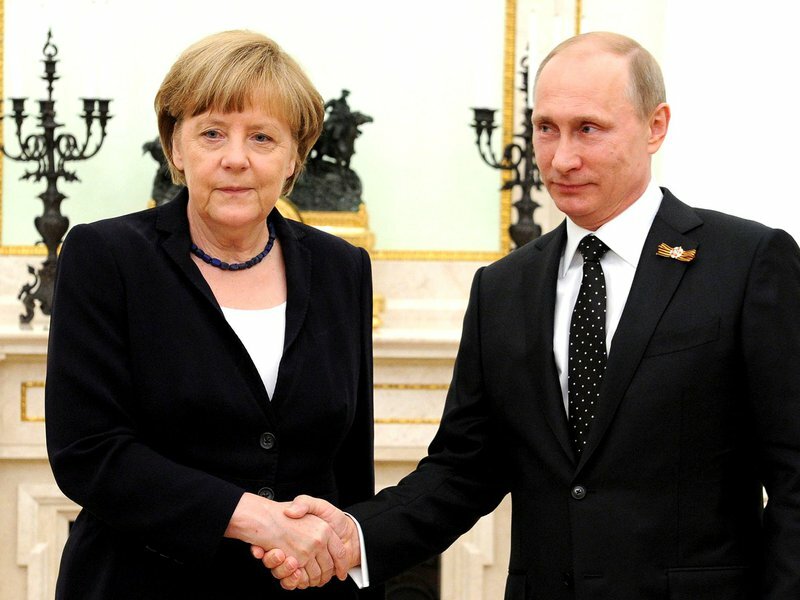 Will Russian Meddling Affect the Outcome of the German Election?